DAWG offers agility training classes for those who just want to have fun with their dogs and for those who are interested in formal agility competition. Classes are taught by experienced club members and guest instructors. We train using only positive reinforcement including treats, toys and lots of praise. All classes are held at the DAWG Training Facility at 1725 E Stone Rd in Wylie, Texas (Hwy 544 becomes Kirby Rd. after Hwy 78, and then Stone Rd shortly thereafter at the stop sign at S Birmingham). Click here for a Google Maps link. The property is on the north side, just before Kreymer Rd. Click here to contact the Training Director. Click here for a new student registration form. PLEASE CONTROL BARKING - LIGHTS OUT BEFORE 10PM, PLEASE. Non-member fees for the Basics class are $100 for an 8-week session. Non-member fees for all other classes are $70 per 6-week session. Note that new students MUST get approval from the Training Director before starting a class. This ensures that there is room for you, and that it's the right class for you and your pup. Agility Basics is an eight week class that focuses on obedience, clicker training, target training, handling techniques, and basic obstacles such as tunnel, table, and jumps. 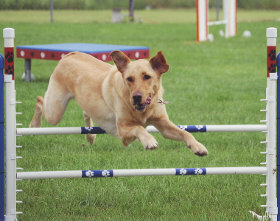 Dogs must complete or evaluate out of Agility Basics before being enrolled in Intro I. In order to enroll in Agility Basics, dogs must be at least six months old, have current shots, and be non-aggressive towards humans and other dogs. Class size is limited to eight dogs. Intro I is a six week class in which dogs are introduced to obstacles, possibly excluding the teeter and weave poles depending on the ability level of the class. Obedience work is reviewed weekly. Handling techniques are also further developed. This class will be repeated by each dog/handler team until eligibility to move to the next level is met. In order to enroll in Intro I, dogs must have completed Agility Basics or have demonstrated proficiency in the skills covered in and meet eligibility requirements for Agility Basics. Proficiency on all obstacles with the exception of the teeter and weave poles. Stationary contacts should be stressed and dogs should demonstrate understanding of obstacle performance and enthusiasm for performing them voluntarily. Intro II is a six week class in which dogs polish obstacles including the teeter and weave poles, improve handling techniques, and begin sequencing obstacles. Obedience work is reviewed periodically. This class will be repeated by each dog/handler team until eligibility to move to the next level is met. In order to enroll in Intro II, dogs must have completed Intro I or have demonstrated proficiency in the skills covered in and meet eligibility requirements for Intro I.
Beginners is a six week class in which handler and dog teams begin to increase the number of obstacles in sequence and continue to develop handling techniques. This class will be repeated by each dog/handler team until eligibility to move to the next level is met. In order to enroll in Beginners, dogs must have completed Intro II or have demonstrated proficiency in the skills covered in and meet eligibility requirements for Intro II. Dogs should be sequencing 10 or more obstacles and teams should have developed good timing. They should be ready to begin working Novice/Starter level courses. Intermediate is a six week class that focuses on Novice and Advanced/Open level coursework and prepares dogs and handlers for competition. Students should be exposed to course diagrams, mapping dog/handler paths, and trial procedures and etiquette. This class will be repeated by each dog/handler team until eligibility to move to the next level is met. In order to enroll in Intermediate, dogs must have completed Beginners or have demonstrated proficiency in the skills covered in and meet eligibility requirements for Beginners. Dogs should be able to successfully complete Novice/Starters and Open/Advanced level courses. The Advanced and Masters classes are designed for dogs competing and/or training in the Open/Advanced level or above. In order to enroll in Advanced or Masters, dogs must have completed Intermediate or have demonstrated proficiency in the skills covered in and meet eligibility requirements for Intermediate. These tricks classes are AKC accredited. There are a wide variety of tricks to choose from - it's another way to have fun with your dog! Classes are fun for dogs of all ages, and they help to improve the dog's learning and the bond between handler and dog. Senior dogs benefit from low-impact stimulation, and younger dogs benefit from a new learning experience. The last class in each series is the AKC test with beautiful DAWG ribbons for those who pass. Come join in the fun! Rally is an obedience skill-oriented dog sport. Such skills as "Sit", "Down", "Come", and "Heel" are presented on signs set in a variety of course configurations. Rally is known for its focus on fun and teamwork between handler and dog. Marilyn Lutz is DAWG's Training Director. Her love of dogs and agility brought her to DAWG. 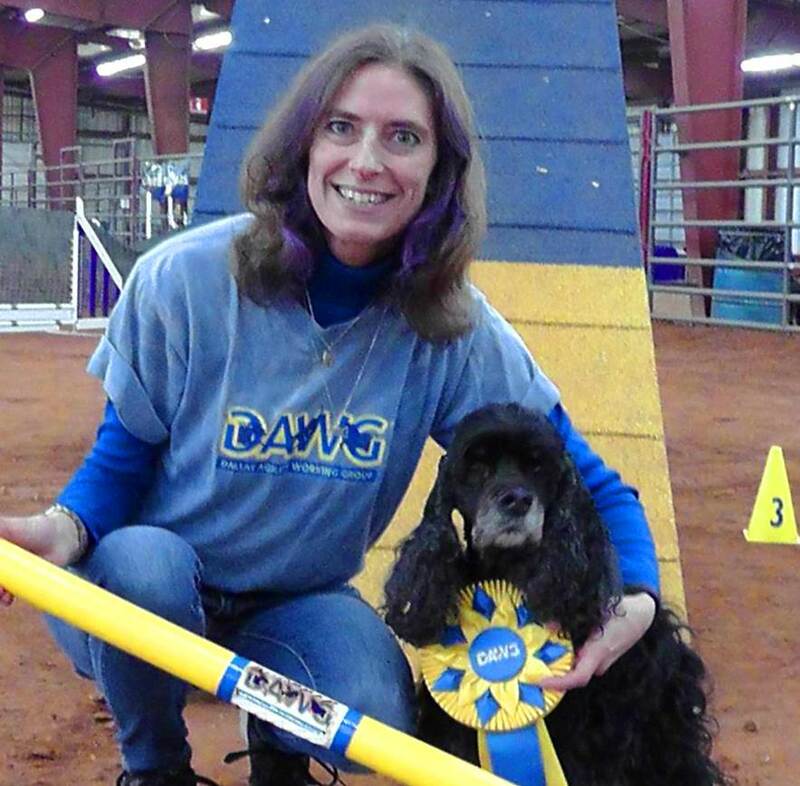 Her excitement about helping dogs and handlers learn the fun and challenge of agility brought her the opportunity to work with the team of DAWG instructors. If you have questions or ideas about DAWG's training program, please reach out - she's always ready to listen. Danielle McJunkins has been with DAWG for 13 years. She shows Australian Shepherds in agility, confirmation, obedience, rally and stock. Outside of DAWG, she works at the Dallas Morning News and has a 2 year old son. T.C. Cappel instructs in agility, obedience, rally, Rally FrEe, flyball, therapy dogs, canine freestyle dancing, and Canine Good Citizen. She and her dogs have performed at venues such as the State Fair of Texas, Dallas' Fair Park Summer Adventures, and Stone Mountain Park in Georgia. 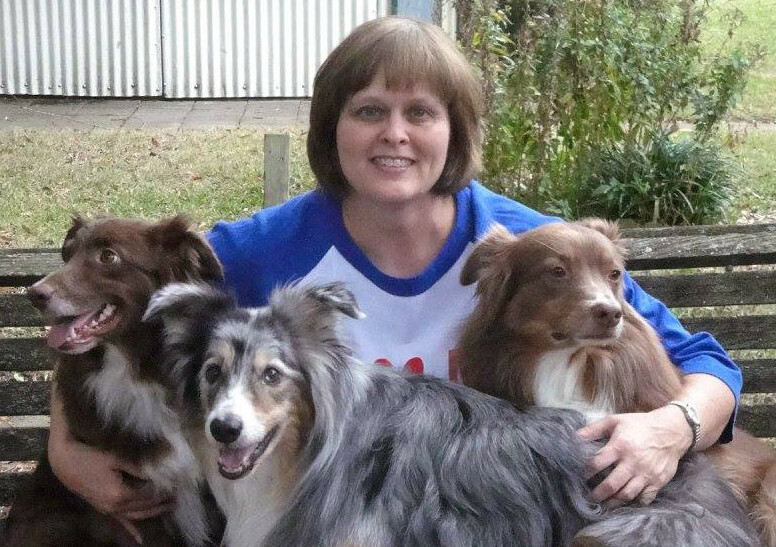 She is a founding member of Heart of Texas Therapy Dogs (HOTTH) and competes with the Top Dog Racers (TDR) flyball team. 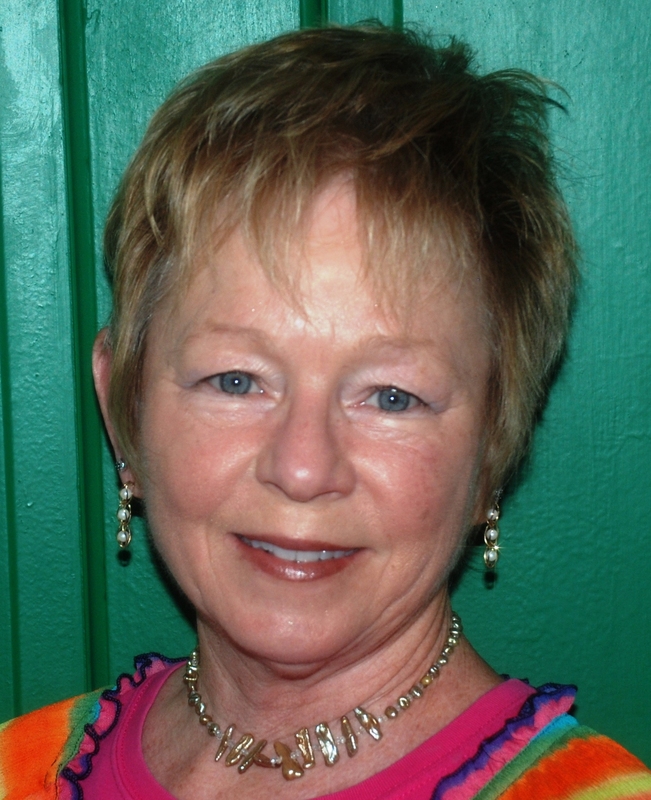 Bevy Boyer has been a member of DAWG for over 16 years. 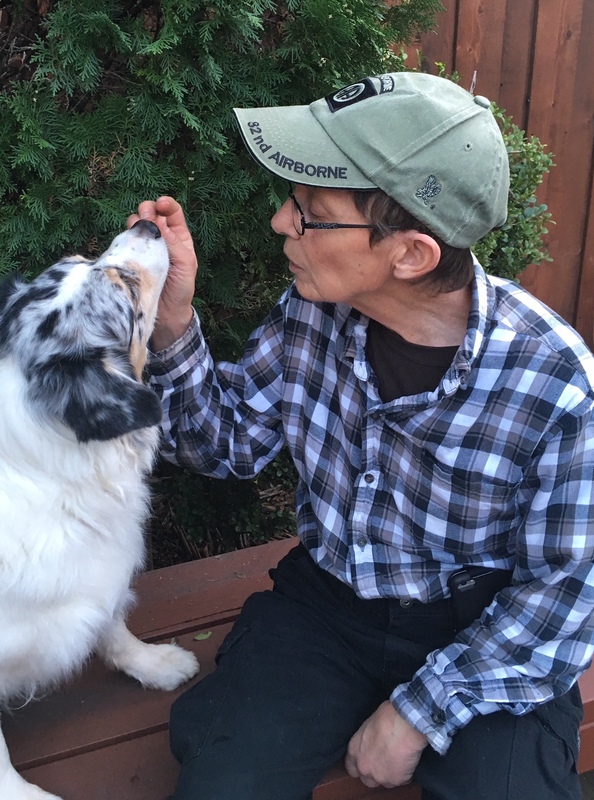 Bevy brings both her experience as a Masters level competitor and her skills as a music teacher to foster successful development in dog and handler teams. 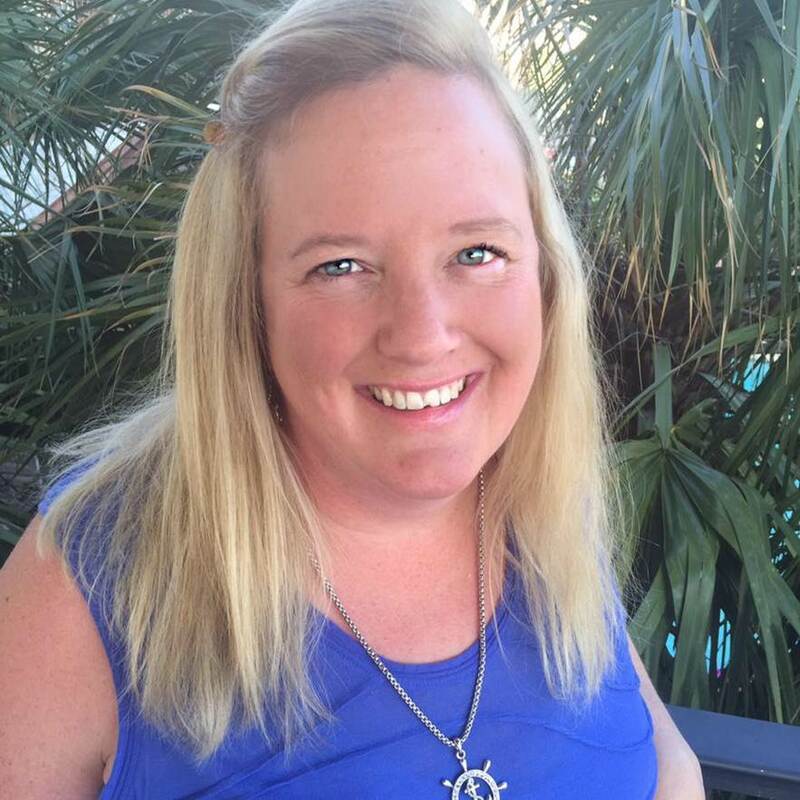 Kristi Brookshire joined DAWG in 2009 and has been an instructor for several years. She is a foster mom and volunteer for Recycled Pomeranians & Schipperkes Rescue. When she's not training and playing with her eight dogs, she enjoys trail riding. Kristin teaches agility teams the fundamental skills needed to succeed in the sport. Kathryn Cockerham has been a member of DAWG since 2010. Kathryn began competing in agility in 2007 with her Australian Shepherd Skye. Skye (MACH, PDCH, ATCH 3) is now retired but Kathryn stills competes with her other two Aussies - Blaze (MACH 2, PDCH, ATCH 3) and Harley (AX, AXJ, RS-E, JS-E). Aire Skowronska has been playing with and training dogs all her life. 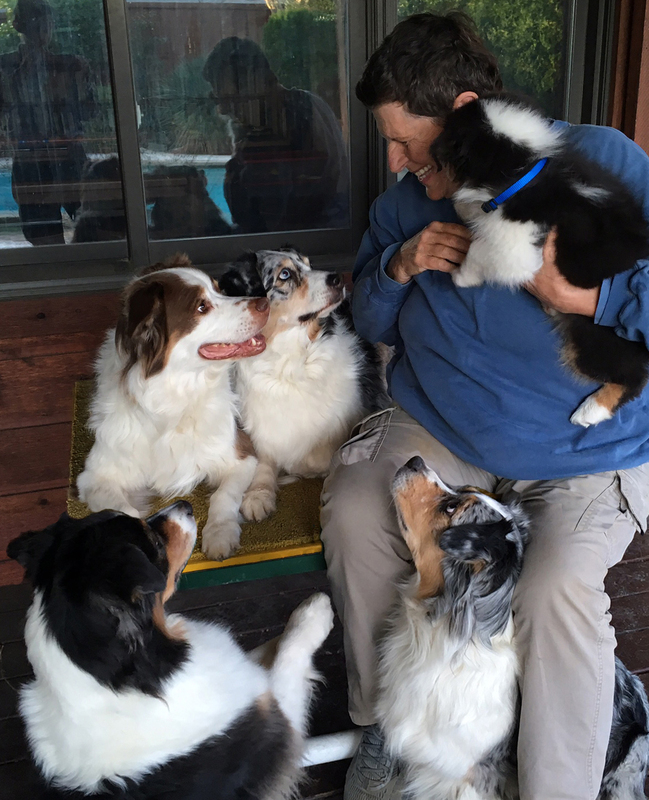 She discovered dog agility a few years ago, and at age 60, immediately started training with her four Aussies - Keeva, Reneke, Kya, and Creek. All four dogs have since earned their ADCH agility championship and two of them have earned their MACH. Her dogs have also qualified for AKC and USDAA nationals. Aire and her dogs also compete in Frisbee League, Dock Diving, Obedience, and Rally. Most of all, they love to play - and cuddle! She believes that dogs learn best through happy active games!